After making the purple version a few months ago I decided to make the blue twin! I used Stylecraft Special DK yarn and my trusty corner to corner pattern by The Crochet Crowd and set to work! As usual I didn’t follow any colour pattern and just made lots and lots of squares. I tried to make the squares have contrasting colours and used the darkest blue and green a lot to give it some boost. 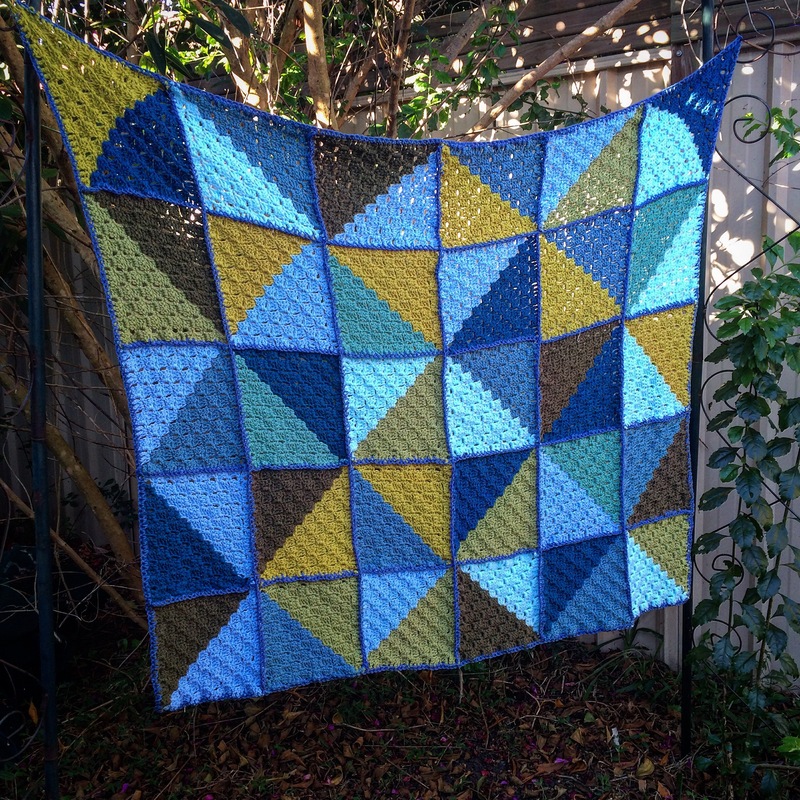 I joined the squares together using a different blue colour and the slip stitch technique. And added one row of single crochet of the border to finish it off and make it more secure. Previous PostFinished: 12 point ripple 2Next PostFeatured!